Natural gemstone boho minimalist jewelry is handmade and one of a kind. 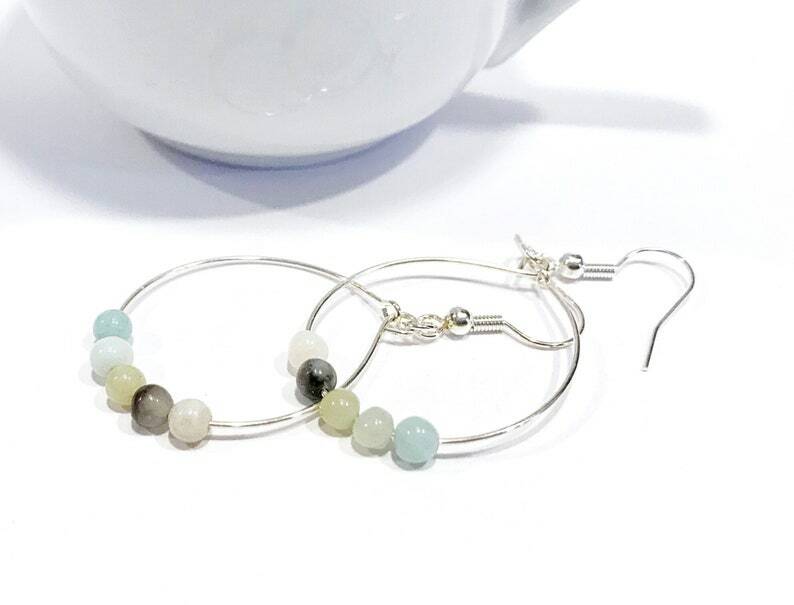 Handmade wire frames adorned with small 4mm black gold amazonite natural gemstone beads are attached to silver plated earwires. Gemstones are natural and contain subtle color variation. Colors are exactly as shown but may vary depending on your viewing device. Length of earrings is 2.25” and width is 1”. A unique gift made in the Great Lakes State of Michigan. Ships in 1-2 business days via first class mail normally unless otherwise specified on the site. Please see our offerings for more gemstone jewelry including amethyst, quartz, carnelian, tourmaline, lapis lazuli, aventurine, and much more!